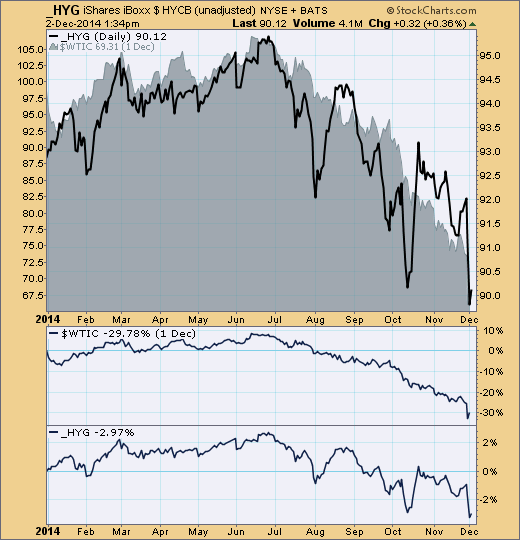 In today’s StockCharts.com commentary, Arthur Hill sheds some light on what’s plaguing high yield bond ETFs lately: sinking oil prices. He points out that iShares iBoxx $ High Yield Corporate Bond (HYG) and SPDR Barclays High Yield Bond (JNK), the two biggest players in the high yield bond ETF business with a combined $23 billion in assets, each have large stakes in the energy sector. 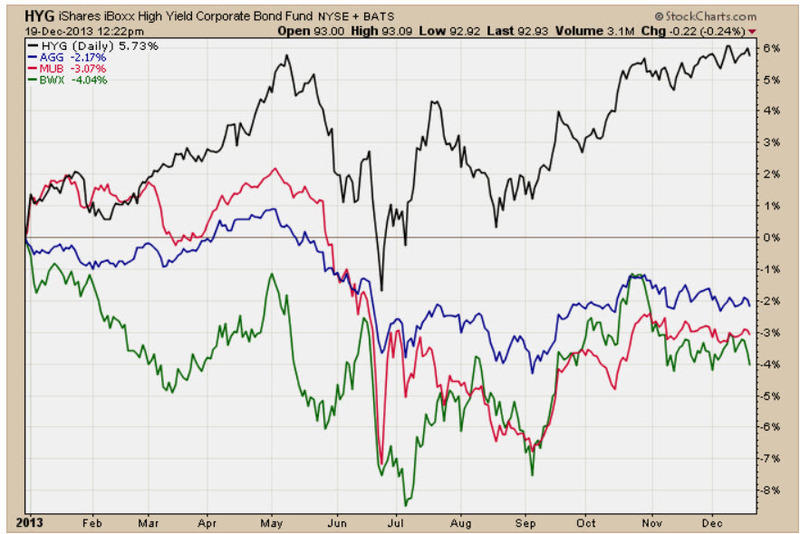 And with oil prices in a free-fall, HYG and JNK are feeling the impact. Note the strong correlation in my chart of HYG (without dividends) and crude oil – click to enlarge. Both topped out in June and have been declining together. My newsletter’s timing model for US High Yield Bond Funds generated a sell signal on September 15, quickly reversing an August 29 buy signal.